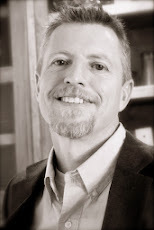 Michael Hayes is currently the District Science Coordinator and eighth grade science teacher for Highland Park Independent School District in Amarillo, Texas. Mr. Hayes has been teaching since 2003 where he began as a seventh grade science teacher for the Amarillo Independent School District. He has taught sixth through eighth grade science as well as tenth grade Integrated Physics and Chemistry. Mr. Hayes was awarded the Amarillo Independent School District's Secondary Teacher of the Year his second year of teaching, followed by the Region XIV State of Texas Secondary Teacher of the Year Award in 2005. Additional educational awards include: Highland Park ISD Middle School Teacher of the Year Awards for 2009-2010 and 2011-2012. He received the West Texas A&M University Secondary Education Student of the Year Award for 2002-2003 and was awarded the National Citizenship Education Teachers Award from the Veterans of Foreign Wars District Nine of Texas. His YouTube Channel was certified as an official EDU channel for education in 2011. Mr. Hayes has been happily married to Chantell Hayes for the past 23 years. They have two children both attending college. Michael is pursuing his Masters of Education in Educational Leadership at West Texas A&M University. Mr. Hayes received his Bachelors Degree in Biology from West Texas A&M University in 2003. He received an Associates degree in Commercial Art and Advertising from Texas State Technical College (TSTC). Michael began his journey into education in a unique way. He struggled in school as a child being diagnosed with dyslexia in 1977. He attended school when textbooks and worksheets were the normal way to learn and reading comprehension always posed problems. His graduation from high school was at the time the final episode of attending school until a young marriage and poverty limited his earning potential. He enrolled in TSTC and graduated with honors. He immediately began work as a graphic designer where he designed billboards and later worked as a designer for a food retailer. Eventually Mr. Hayes would own and operate a small advertising agency where he worked for nine years. A change in the economy and evolving technology continued to put pressure on the business and he was forced to sell out at a huge loss. Prior to selling his business he had the foresight to return to college at WTAMU where he was pursuing a degree in medicine. The sale of his business at the beginning of his senior year changed his plans. Discussing his need to graduate and begin a new career earlier than expected the education department was able to fulfill his degree plan with electives where he was able to graduate with a degree in Biology with a certification in education. His passion for reaching students with learning disabilities and choosing to be the teacher he needed when he was younger has made Mr. Hayes think of creative and innovative ways to reach children with meaningful and effective techniques. The recent turn to Social Media to reach children in and out of his classroom began in 2011 with a quick video of lab equipment. The assessment scores immediately jumped from 50% passing in previous years to 90% and greater since 2011. Mr. Hayes' use of YouTube, Facebook, Twitter, Blogs and even CafePress are expanding his classroom to parents, children and fellow educators around the world. What began as a tool to assist a few students in his classroom is now reaching over 80 countries, he has over 400 subscribers and has nearly reached over 100,000 views. Mr. Hayes has been a guest speaker to the Texas Region XIV Superintendent's collaboration, the Bruce Beck Educational Technology Symposium of Amarillo College and to education majors at West Texas A&M University. He has been a Teacher Trainer for Region XIV with the Texas Adolescent Literacy Academy and continues to speak and write as an advocate for advancing the use of technologies in creative learning environments. Many of Mr. Hayes' videos and lessons are being hosted on the Texas A&M University's Performance-Based Academic Coaching Teams (PACT) website as a teaching resource for new teachers in the State of Texas. He was recently contacted by A Platform for Good to write a guest blog on the use of Social Media in the Classroom. The hope is more educators will tap into creative methods to reach students in non-traditional ways in the hope of providing them greater success.